"saving just one pet won't change the world... but, surely, the world will change for that one pet..."
upon approval, the applicant may meet the pet of choice. 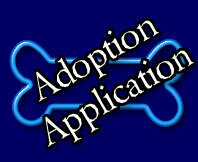 Complete our (online adoption application) with the name of the dog you are applying for. We will review all applications for each dog in order to make a decision about which home best suits the dog's needs. Applications are not considered in the order they are received; all applications will be considered in determining the best situation for each dog. Completing an adoption application is not a guarantee that you will receive the dog you are applying for, Chances Angel Rescue reserves the right to reject any application as we see fit. We will call the Veterinary references you listed on the application and contact you to schedule a home visit. These checks are performed to ensure that you will be a responsible pet parent and that you will provide routine veterinary care for the dog as needed. 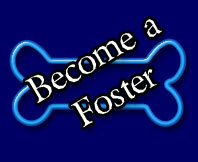 In the case of our dogs who are too young to be spayed/neutered the adoption fee will initially be $150 - $350. 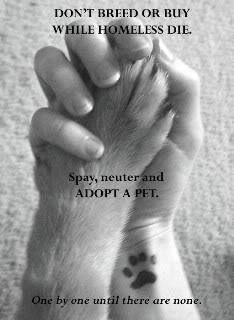 You must sign an adoption contract consenting to spay/neuter your pet by the age of six months. 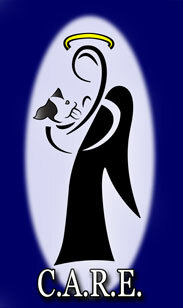 Chances Angel Rescue will follow up with your vet to ensure your pet has been sterilized. Chances Angel Rescue may re-possess the pet if this contract is not honored. Adoption fees for altered pets range between $200- $400. All adult pets are hw tested, vaccinated, dewormed, spayed/neutered, on hw prevention and microchipped.